Have you ever considered what it would be like to buy or sell a site valued over $100,000? 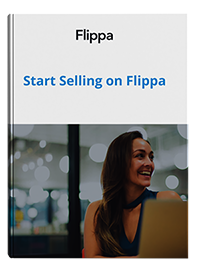 Several times a year sites sell on Flippa in the six figure range. What exactly makes these sites command a valuation over $100,000? That’s the question I set out to answer before writing this post. First, I’ll explain the methodology I used to answer this question, then, I’ll summarize my findings into 10 factors that affect the value of a website. This narrowed the list down to about 30-40 listings. I further narrowed it down by weeding out any auctions that only had 1 bid, were private, and those that sold more than a year ago. I ended up with 10 auctions to use as source data. For each of these auctions, I did a little “mini due diligence” on them, making notes on what I felt increased and decreased the value of the site based on my own experience buying six figure sites. In the interest of full disclosure, this part of the process was rather subjective since I don’t pretend to know the value every buyer sees in every auction. I also assumed the seller’s statements on factors such as traffic and revenue were accurate since I had no way to verify them directly from the sellers for my research. At this point, I gathered my notes and looked at the various factors affecting the value across different auctions. I came up with a list of the most common factors which were prevalent across the data set and identified the factors that seemed to be the outliers which contributed to the value. Keep in mind, this is not meant to be a comprehensive list of all the factors that affect any website’s value, only those that I felt affected those in my data set. 10 of 10 of the sites included some form of a list such as a customer list, subscriber list, membership database, forum database, social media account, etc. The lesson: Six figure sites build and manage lists. It’s no surprise that all of these sites were generating traffic. 8 out of 10 of the sites were generating over 100,000 visits per month. The lesson: Six figure visits to a site each month can translate into six figure valuations. All but one of these sites had a history of revenue generation. Auction 3 didn’t claim it in the Flippa system, but did state the site had earned revenue in the auction copy. 9 out of 10 of the sites had earned more than $5,000 in a month. The lesson: Four to five figures of revenue each month can translate into six figure valuations. 8 out of 10 of the auctions used wording like “low maintenance” or “automated” to indicate that the site could be maintained with little time. Surprisingly auction 10 seemed to require the most amount of work but also received one of the highest revenue multiples. The lesson: Six figure sites are scalable. Based on the seller’s statements, 8 out of 10 of the sites didn’t rely primarily (more than 50%) on Google for its traffic. Even the two which did seemed to have a diverse range of keywords with no one keyword driving over 50% of traffic. The lesson: Six figure sites don’t put all their traffic eggs in one basket. 6 of 10 of the sites included unique relationships such as suppliers, joint venture partners, etc. which were key to the success of the sites and were included in the sale. The lesson: Networks of strong relationships build six figure sites. 6 out of 10 of the sites had proprietary products that could be delivered digitally. Buyers often see value in proprietary products since they can add the product into an existing business’s offerings. Digital produts also tie into the low maintenance aspect to each of these sites. The lesson: Proprietary products that can be delivered in a scalable way increase the chances of a six figure valuation. Auction 2 had no claimed revenue but had the highest traffic at over 3.5 million unique visits a month. Even with no revenue, the site sold in six figures. This means a buyer likely saw the ability to monetize the traffic and could justify the price. The lesson: Traffic alone (which can be profitably monetized) has value in the eyes of six figure buyers. Auction 4 had the best claimed monetization with the highest revenue per unique visit number. To be making over $40,000 a month on only 30,000 unique visits is quite a feat. The Lesson: Create a monetization system for your six figure site which buyers can leverage. Auction 10 sold for the highest revenue multiple. I believe one of the factors that contributed to this was the fact the site had over 200 recurring subscribers. Recurring revenue streams significantly reduce the risk for buyers. Auctions 4 and 8 also claimed recurring revenue streams. The lesson: Six figure sites are able to maintain momentum and revenue after the sale. Are these factors you look for in the value of a website prior to purchase? What else do you think factors into a high-value website? Let us know in the comments!